These heels will leave you hankering for a hideaway in the country. Question is wood you, could you, wear these Margielas? 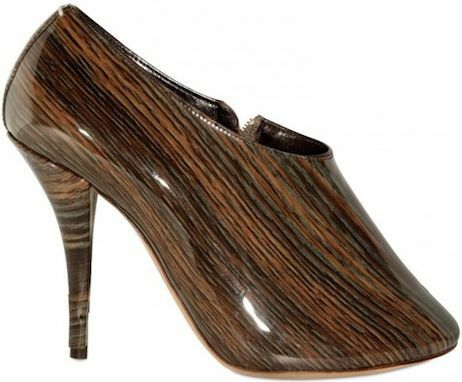 Maison Martin Margiela wood print patent pumps. As for me and my Margiela-loving sole sister, we can see the fashion forest for the trees and totally wood…elle, in Paris and me, in Toronto.